down to the micro-cluster level? create your own classifier with few clicks. 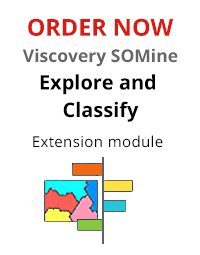 Explore and Classify is an extension module of the Viscovery SOMine suite. It requires the Visual Clusters core module and can optionally be combined with other modules of the suite. 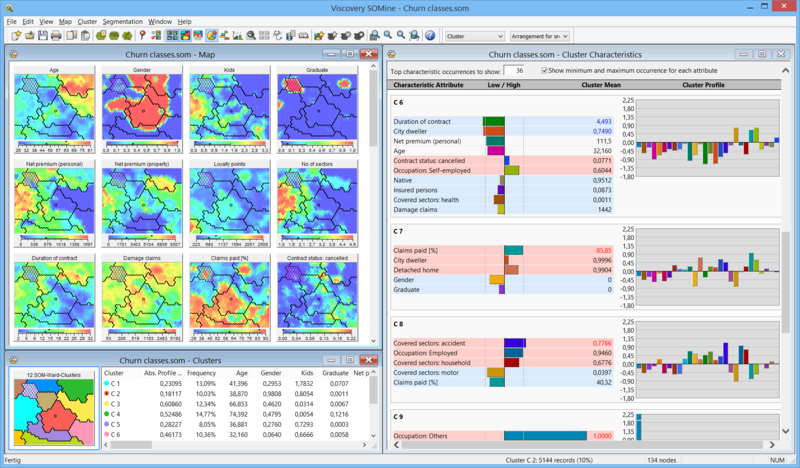 The module provides multiple features for advanced exploration of the self-organizing map (SOM) model and for the interactive definition of alternative cluster models. 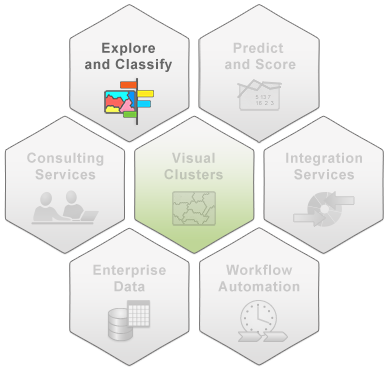 In addition, the Classify workflow guides the user through the application of classifiers to new data and the evaluation of classification results in comparison to control groups. For a complete list of features, view the Explore and Classify module data sheet.